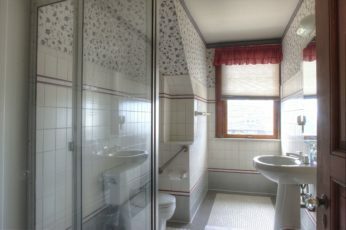 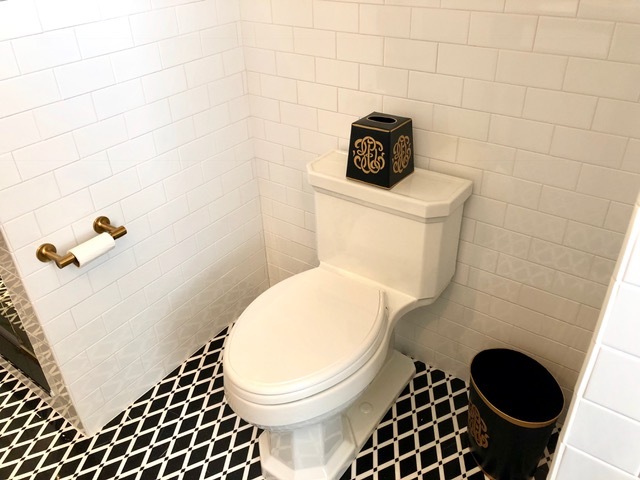 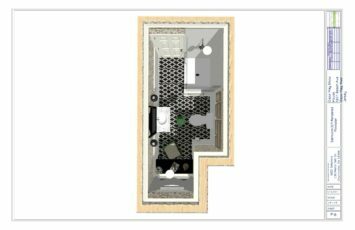 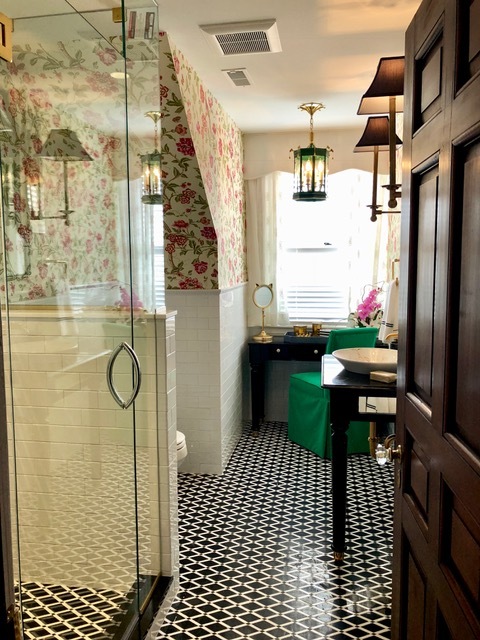 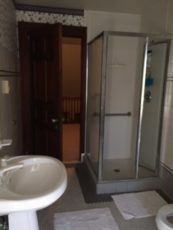 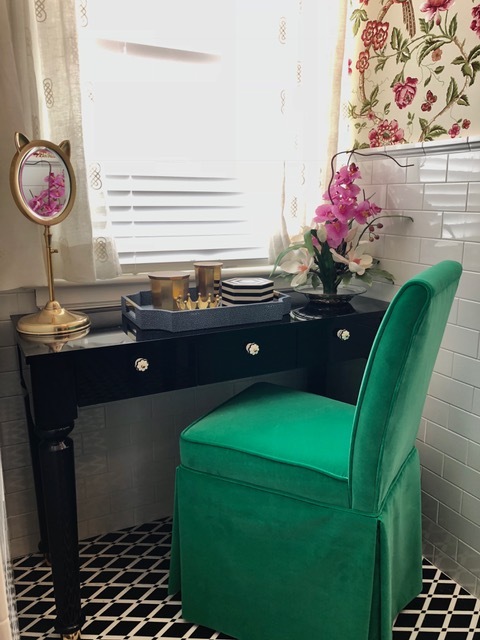 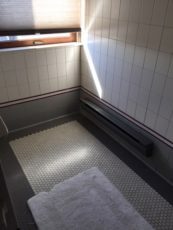 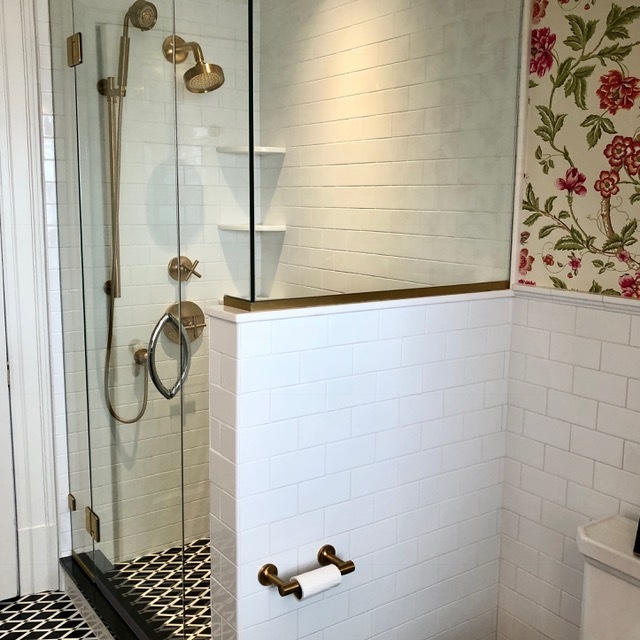 This small and narrow bathroom had to serve many purposes and it was imperative that every inch was maximized to its fullest extent, without losing the glamour and sophistication that it deserved. 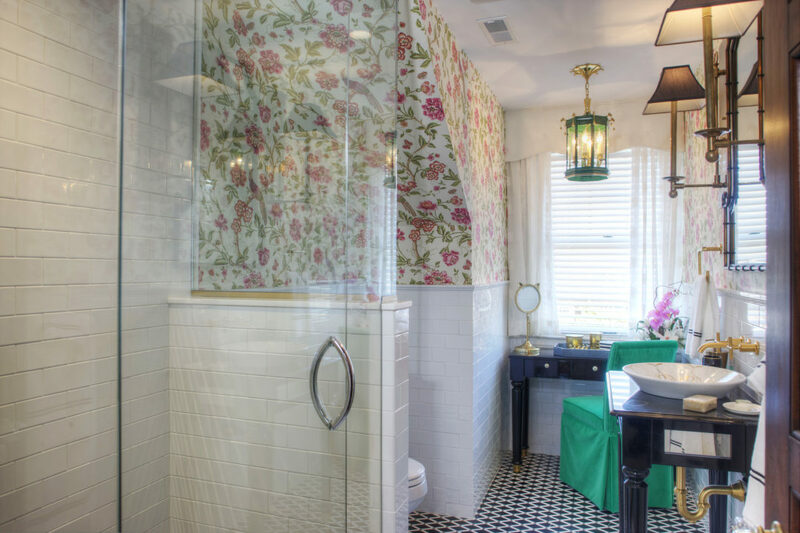 followed by a playful and colorful wallpaper in a classic chinoiserie style. 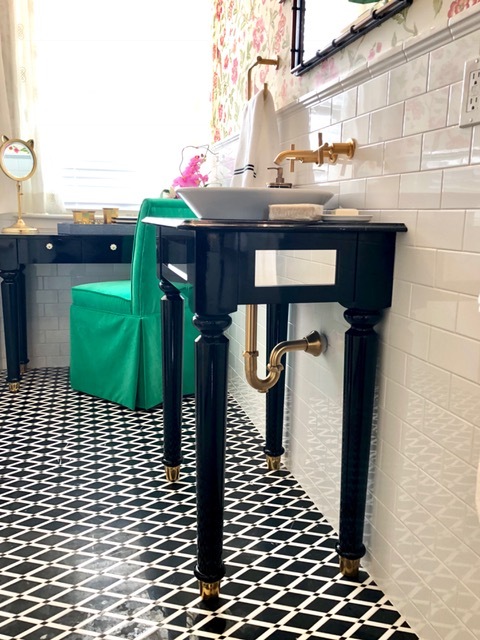 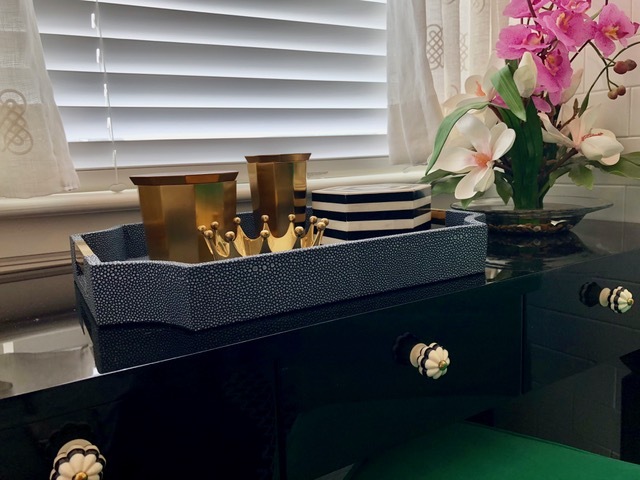 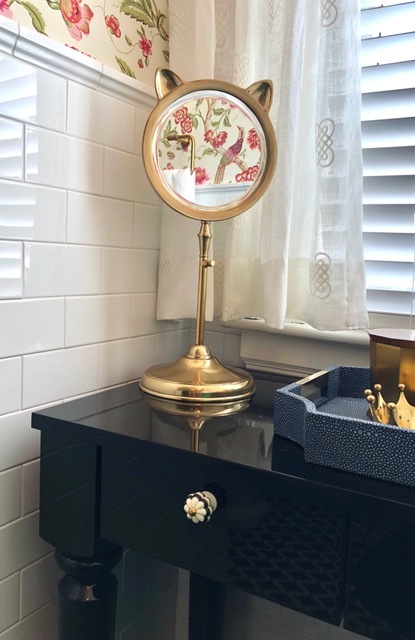 The custom sink vanity and vanity table are from the Nina Green Signature Series cabinetry, featuring black lacquer style paint with mirrored insets with a black marble vanity top. 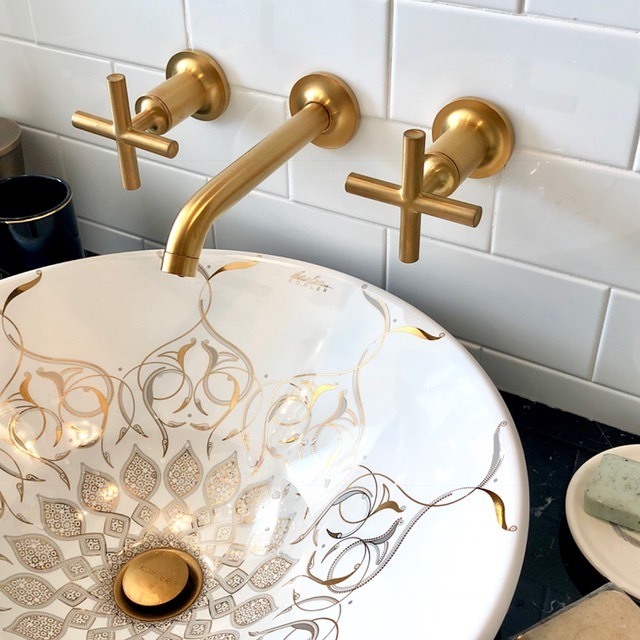 A hand-painted sink featuring brass accents gives unexpected style to this otherwise small sink console. 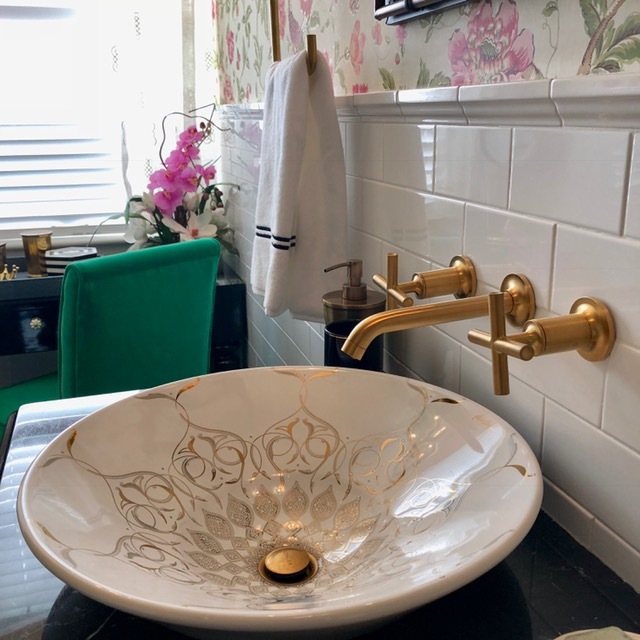 A wall-mount faucet, featured in brushed brass was imperative for this small sink area. 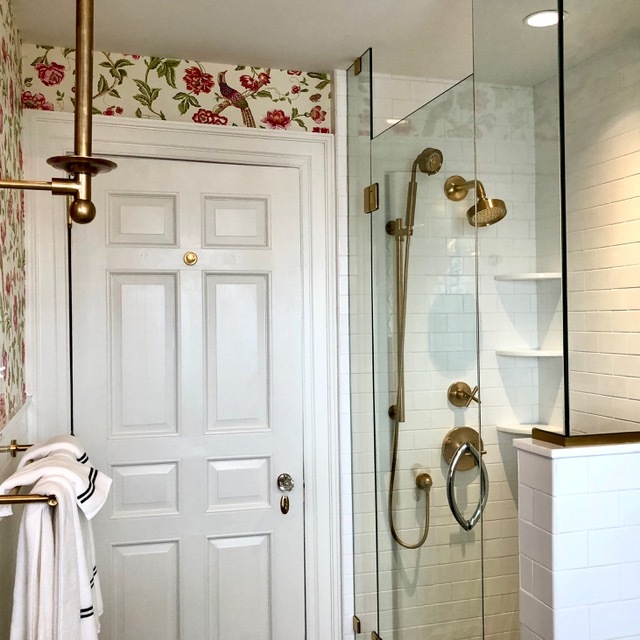 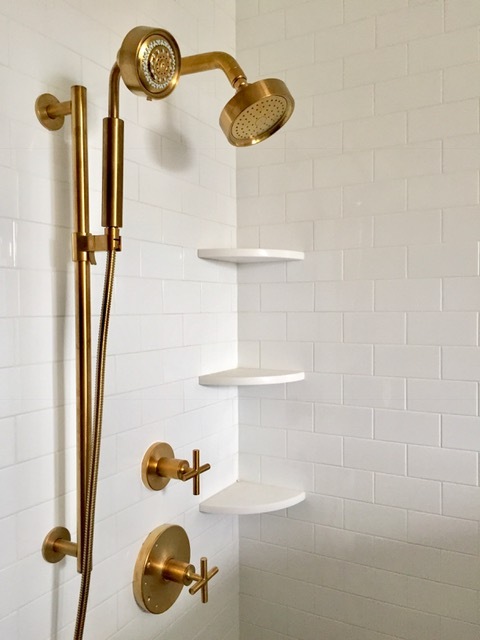 The brushed brass finish was used for all Kohler fixtures and accessories from the shower wall to the Currey and Company wall. 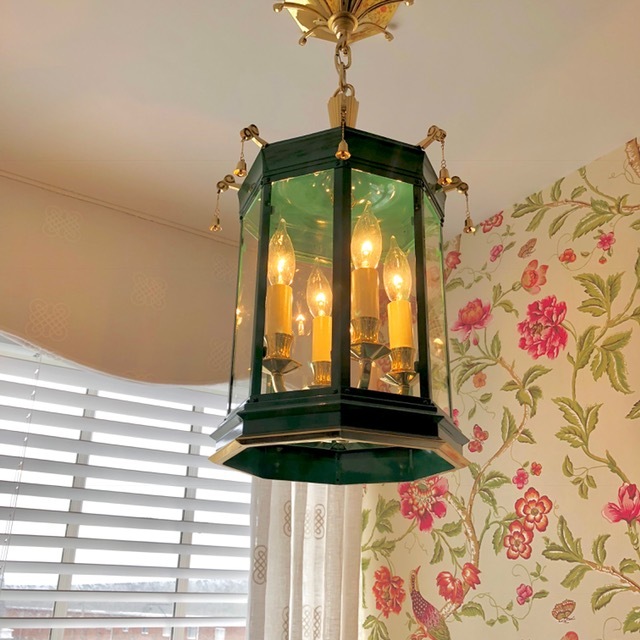 The final crowning piece is the Handcrafted pagoda light from Charles Edwards of England. 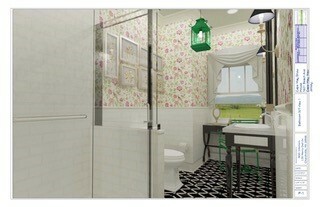 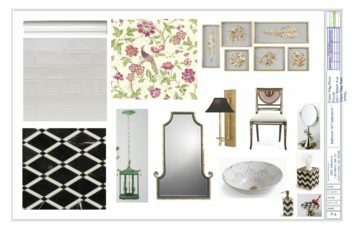 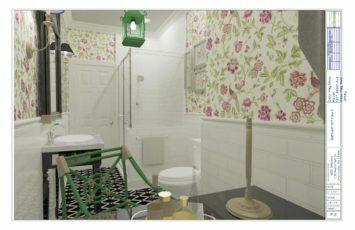 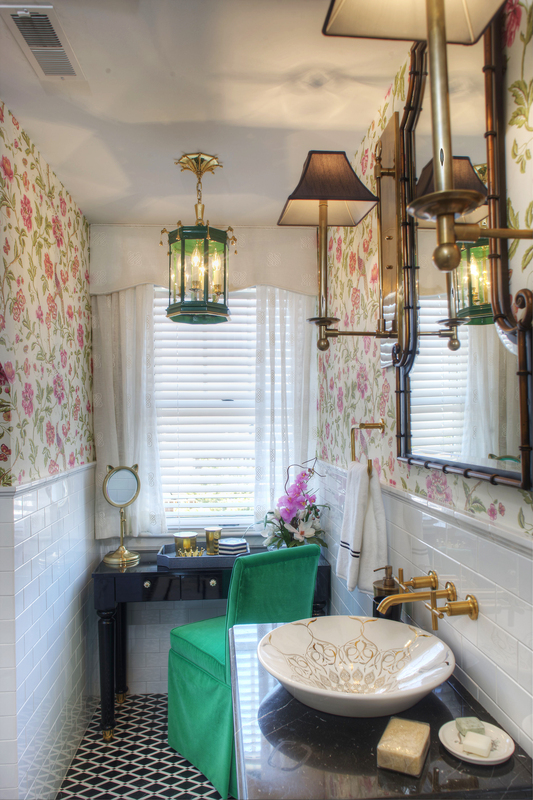 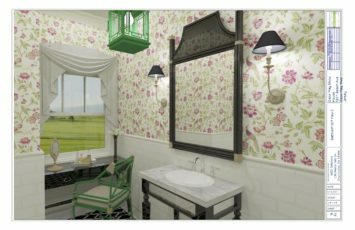 The result is a sophisticated and whimsical bathroom to brighten up any day.